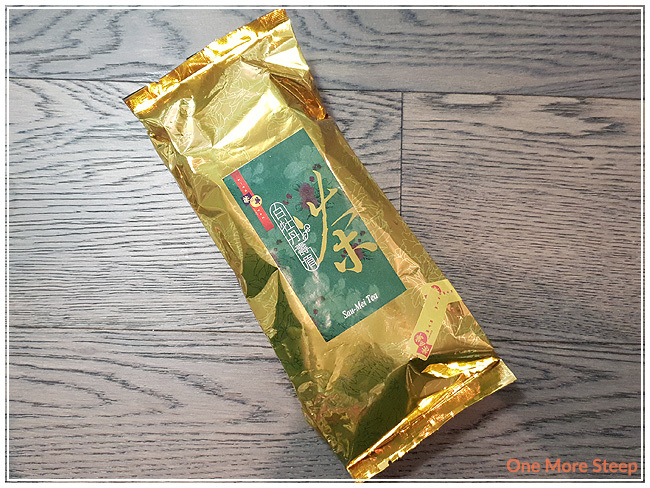 I received Wing Wah’s Sau-Mei Tea as a gift, and was unable to find information regarding the price. Wing Wah’s Sau-Mei Tea came to me in a fairly big gold foil bag. There’s minimal information about the tea on the packaging, aside from some key instructions of storing it in a cool, dry place. 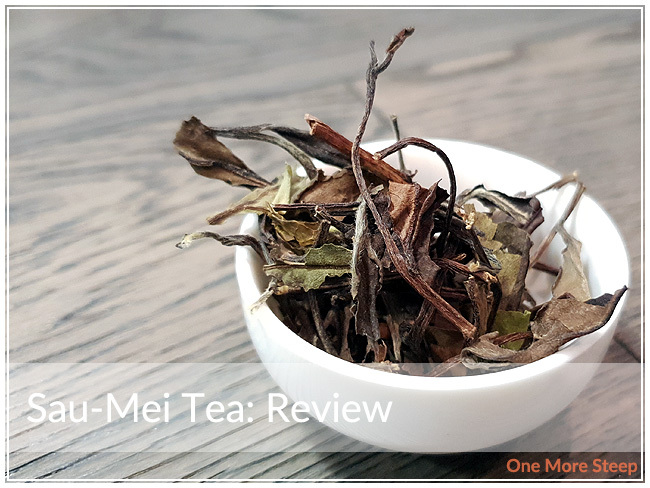 For those unfamiliar with shou-mei, it’s a traditional Chinese white tea. Shou-Mei tea has some beautiful dried leaves. There’s a mix of colours ranging from brown to bright green. Some of the leaves have visible downy feathers on them, quite reminiscent of a silver needle. There’s a few sticks mixed in. This is a very airy tea, it takes up a lot of space with just a little bit. The dry leaf has a light floral aroma with slight plum notes. There were no steeping instructions on the packaging. I opted to steep Shou-Mei Tea in 185°F (85°C) for 2 minutes. 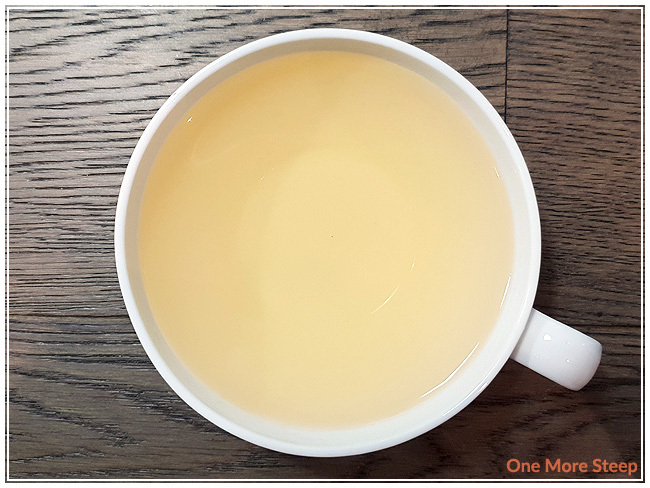 Shou-Mei Tea steeps to a beautiful golden yellow. The texture of the tea is very smooth, with a light creaminess. The flavour is a nice mix of floral and fresh-tasting plum notes. It’s a really enjoyable tea. The light sweetness to it makes it a good pairing with pastries (I might have had this with a chocolate croissant…). I resteeped Sau-Mei Tea seven times (eight steeps total with the same leaves), I added an extra 30 seconds for each additional steep. As I steeped it, I found that the creaminess grew stronger as the colour became more golden yellow. The floral notes were more prevalent in the subsequent steeps while the plum notes subsided. I loved Wing Wah’s Sau-Mei Tea. This was a very pleasant white tea to drink. 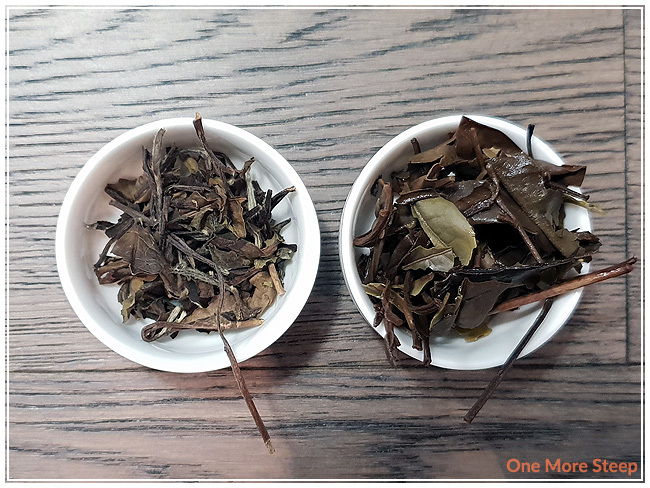 I loved how well it resteeped, and how the flavours changed with each resteep. 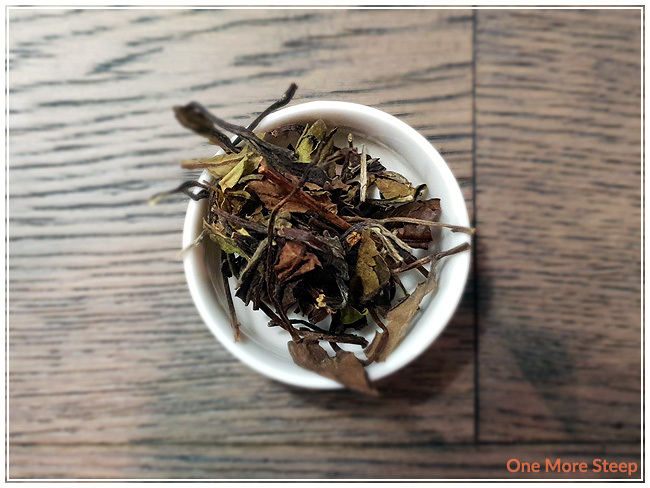 I really enjoy teas that can be resteeped that retain their flavour – it really shows to the quality in the leaves. Additionally, I know that 185°F is a bit on the ‘high’ side of what you’d want to steep a white tea in, but the leaves held up beautifully and I had zero issues with astringency or bitterness.